When it comes to hardwood flooring installation, we utilize our expertise to make sure the job is done right. From measuring the ambient conditions in your home prior to installation to maintaining a clean and dust free work environment and recycling whenever possible, we closely manage the job to ensure all of your expectations are met or exceeded. To start, we’ll check the temperature and relative humidity in the rooms where the hardwood floor is to be installed, then check the moisture content of the sub-floor, and record all of the information. We’ll work to get an idea of your living style so we can recommend the right floor for your situation. For instance, do you like to use your air conditioning all summer long or do you prefer open windows on cool days? With this information we can recommend the style and species of wood that would perform the best in your home. Many manufacturers’ installation instructions say to acclimate the wood flooring for 48 to 72 hours before installing. Unfortunately, this is very misleading. Acclimation has nothing to do with time, but has everything to do with moisture content. 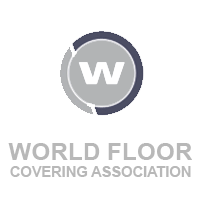 What you really need to know is how much time it will take for the flooring to reach a moisture content that is compatible with your home. Wood flooring is a hygroscopic material subject to dimensional change as a result of variations in moisture, temperature and humidity in the surrounding environment. That has led to increasing awareness of the need to properly acclimate wood flooring before installation. Wood flooring simply needs to reach a moisture content level in equilibrium with the surrounding environment in which it will be installed, at or near normal living conditions. Always account for time of year and geographic location. NOTE: Not properly acclimating wood flooring may cause excessive expansion, shrinkage, dimensional distortion or structural damage. Proper installation depends not only on the moisture content of the wood and the environmental conditions at the time of installation, but also on expected seasonal changes in temperature and humidity at that location—changes that may cause the wood flooring to gain or lose moisture content over time. Such changes are likely to occur even if the building occupants maintain interior environmental conditions through use of a heating and/or air-conditioning system. 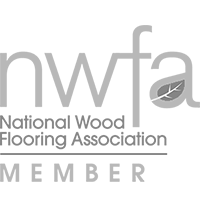 If you are considering hardwood floor installation, we can help! Contact us here.